After serving together in pastoral ministry for forty years, Phil and Diane Comer know those hopes and fears well. Thirty-seven years ago, they became parents themselves. And like all new parents, they were intimidated and unsure about how to take on the task of spiritually training their young children. 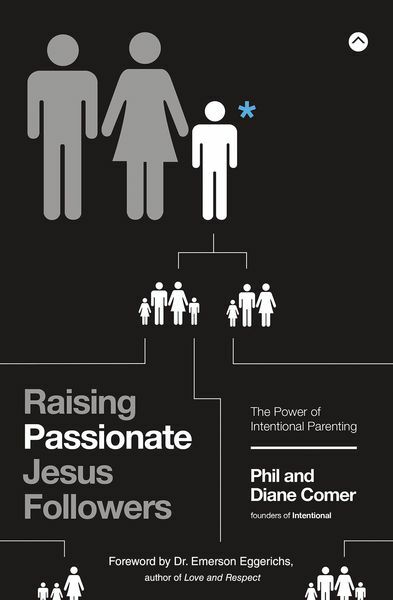 Now, with all four of their children grown and establishing their own households of faith, Phil and Diane have embarked on a quest to help the next generation of parents raise passionate Jesus followers. Drawing on years of pastoral counseling, teaching, leading, and decades of watching families from the perspective of pastors and leaders in ministry, Phil and Diane instruct, guide, encourage, and offer hope and practical help to Christian parents. Raising Passionate Jesus Followersis a manual full of practical, biblically based guidelines that parents will be able to turn to again and again through each stage of their children’s development. Starting at birth, into grade school, through the daunting teenage years, to launching them into college, and finally letting go, this book contains the why’s and the how’s parents need. This book will serve as an invaluable resource for any parent whose greatest longing is to shepherd their children into a vibrant faith in God.